14 SepA probably new-to-you free episode! 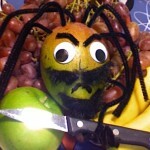 It’s the ninth anniversary of Beware the Hairy Mango! Click here to listen to an episode from the old subscription show, Beware the Elitist Mango, Fourth Wheel, for free! Thanks, everyone! I miss your voice!!!! Yay!!! !